Spend a few weeks in the Holy Land studying under one of our experienced short-term instructors. Venture off the beaten path to places less traveled, explore more than twice the sites of a typical tour to Israel, and have the option of earning academic credit. than through one of our short–term programs. and gain a new sense of the biblical world. 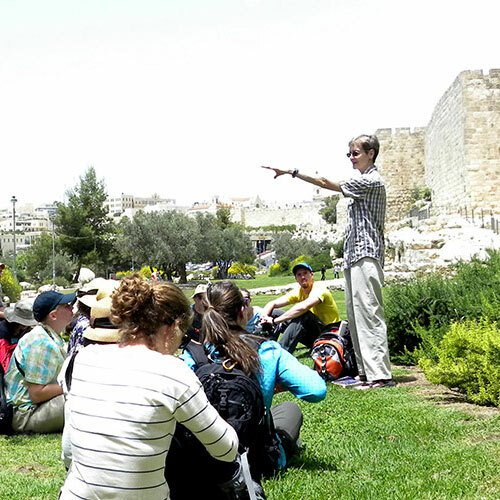 A three-week study experience focusing on the history and geography of the land of the Bible. Explore nearly the entire land of Israel, including an optional excursion to Jordan. Spend two weeks learning the cultural, geographical, and historical backgrounds of Judea, Samaria, and Galilee during the time of Jesus. Explore the land of the gospels to gain a better understanding of Jesus’ life and ministry.